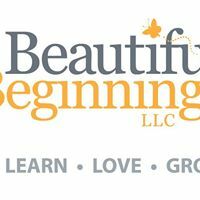 Beautiful Beginning, LLC - Get Involved. Make Friends. Enjoy Motherhood. A MOD Moms Business. Introducing Saturday classes (in addition to weekday) Parent/Infant & Parent/Toddler Montessori Classes start very soon in our newly renovated children’s studio. We also have Bake with Me Toddler classes as well as Love and Logic Early Childhood Parenting Made Fun classes. Come to a Beautiful Beginning class where your family will Learn, Love and Grow.